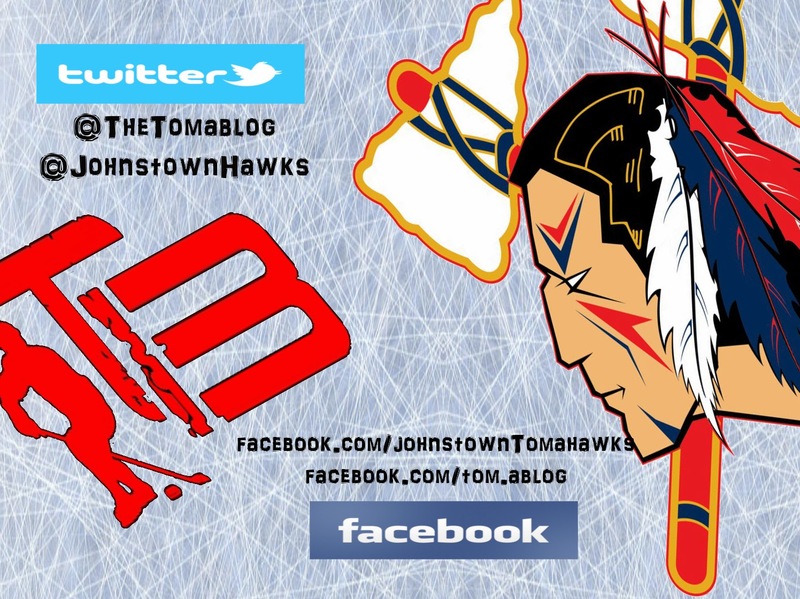 The Johnstown Tomahawks take to the road this weekend to invade Flint Michigan and the Michigan Warriors. This is the last time the two teams will meet in the regular season. Chances are that both teams will face each other in the first round of the NAHL playoffs, so now it's all about trying to gain home ice advantage. If the playoffs started today, Johnstown would have home ice, as they are second in the division, winning the tie breaker over the Warriors whom are tied with Johnstown in points. Johnstown swept Michigan last time the two teams played against each other. See our review of that weekend here. As every game this year vs. the Warriors, we predict another great battle between the two teams. The guys should be flying up and down the ice. There should be some big hits. There should be a couple of fights. Just exciting hockey. If you're not sitting down please do so now. Both games this weekend, the NAHL has scheduled the same ref for both games. Who's the referee? Michigan is 9 for 46 on the power play. Johnstown is 8 for 56 on the power play. Johnstown has outscored Michigan 30-24. 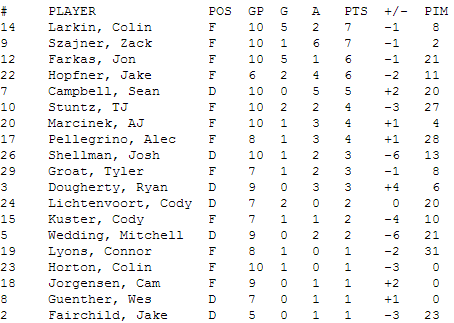 Michigan has outshot Johnstown 300-295. Labels: Johnstown Tomahawks, Michigan Warriors, NAHL. At least the Tomahawks no longer have to worry about Matt Meier being suspended for "leaving the bench" during Saturday nights game. Just checked the box score on the NAHL site for that game, and the penalty was completely eliminated. 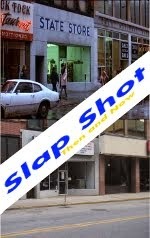 Like it never happened! 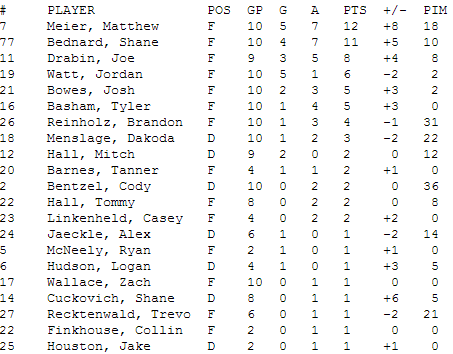 Would the Tomahawks have won Saturday night if Meier played the entire game? While you can't say for sure they would have won, it would have increased their chances for sure.